AR Modular RF has announced an agreement with CommTech Sales in which CommTech Sales will represent AR Modular RF throughout Texas, Oklahoma, Arkansas, and Louisiana. Established in 1996, CommTech Sales is an independent manufacturer's representative focusing on the Telecom/Commercial Wireless, Industrial, and Defense industries. The firm has over 80 years of combined technical sales & marketing experience and is known for providing customers with the best and most cost-effective solutions for their individual needs. CommTech Sales serves its clients through two offices: the main corporate office in Plano, Texas (972-509-4900) and a field office in Houston, Texas. 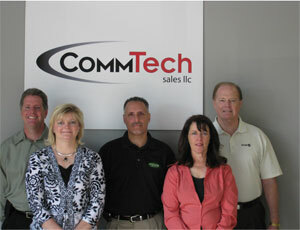 For more information, visitwww.commtechsales.com. For more information, visit www.ar-worldwide.com.